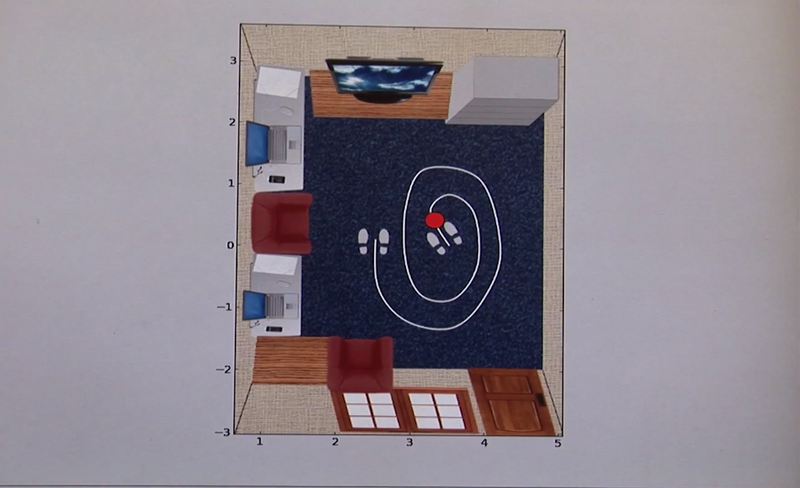 Back in June, MIT researchers revealed they had figured out how to use Wi-Fi to track moving objects through walls. Today, the same team announced they have refined their system to be even more precise by switching to radio signals. The system, known as “WiTrack,” works with the help of four antennae. One transmits a signal and the other three take in signals that bounce back. Based on how long it takes a signal to return, WiTrack can calculate an object’s distance from the antennae and map movement. Along with improving the precision of the tracking to 4 to 8 inches, WiTrack’s advantage over the earlier WiVi technology unveiled in June is that it can track three dimensional movement and pinpoint someone’s exact location in a room. WiVi only indicated how far a person was from the antennae. The researchers said WiTrack could notice when a senior falls and needs help or be used for gaming. In June, they noted WiVi could be integrated into the internet of things or used to track criminals or people trapped in buildings. Unlike WiVi, WiTrack can only track one person at a time. The researchers will next focus on adding that as an option. You know what FRAK YOU MIT researchers, you facist enabling POS’s! WiFi is a radio signal. What they have (re-)invented here, is RADAR.